Faith Breezes: Singing and Reading...Great Way to Spend the Summer! Singing and Reading...Great Way to Spend the Summer! Do you love good Christian music? The kind where the singer really sings and the song has a message, not just three or four phrases repeated over and over? If you do, you need to know about my daughter, Becky Loar. Good music never goes out of style and Becky loves to sing the music you've enjoyed over the years. If you haven't heard her sing, you're missing a blessing! 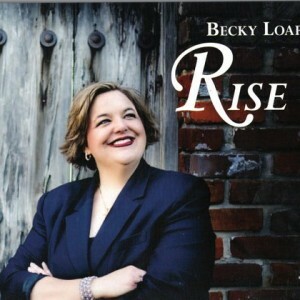 Becky's new CD, Rise, will lift your spirits and fill your heart with the love of the Lord. It's endorsed by Liz Curtis Higgs and Babbie Mason... need I say more? Learn more about Becky and her background. She sings, she teaches, she's a mom with a family. And you can purchase her music right there on her site. Keep watching this blog because July 14 Becky's mom (that's me!) 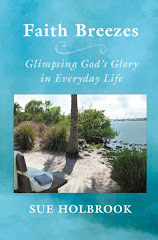 will launch the publication of my book: Faith Breezes: Glimpsing God's Glory in Everyday Life. It's full of memories, devotional thoughts and life experiences - short readings just right for sitting by the pool or on a nice cool porch with a glass of sweet tea! Becky and I wish you a happy summer and hope our words and music can be part of it!